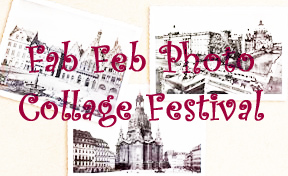 Some weeks ago Julie from Angler’s Rest challenged us all to join her in the February Photo Collage Festival. It seemed logical to combine this with the Family History Writing Challenge hosted by The Armchair Genealogist, Lynn Palermo which inspires us all to write at least 250 words a day throughout February. As I’d already decided to prepare my photo collage based on the first 28 years of my life, inevitably the writing challenge has to be a memoir of sorts, something like the 52 weeks of Personal Genealogy and History I completed in 2011 but with a different spin. Since 28 days of photos correlates so neatly with four lots of seven years, I thought immediately of the series “Seven Up” in which a documentary maker tracks the lives of a small group of children from mixed socio-economic groups across seven year periods. So this collage is my personal “7 Up” challenge (note, not the drink of the same name!). Each day in February I will write my own memories “inspired” by one of the photos in the collage – I’m going to work left to right, then down the rows. Mostly they’ll be themed so it will lead to a particular type of story and will often include more than just photo in the collage. Although the sub-text of my response to the challenge could be “it’s all about me”, it’s also about my family: my original family and our own Cass clan. While not strictly chronological year-by-year, it will cover my childhood, teenage years, school, romance, marriage, migration and children. I hope you’ll join me on this journey as I attempt to leave some memory crumbs for my descendants. You can do your own collage in photoshop or equivalent (which I did previously –but can’t remember how!) or you can use Julie’s suggestion of Photovisi. This worked well but the downside is that you can’t save it until the very end and then you’re committed. 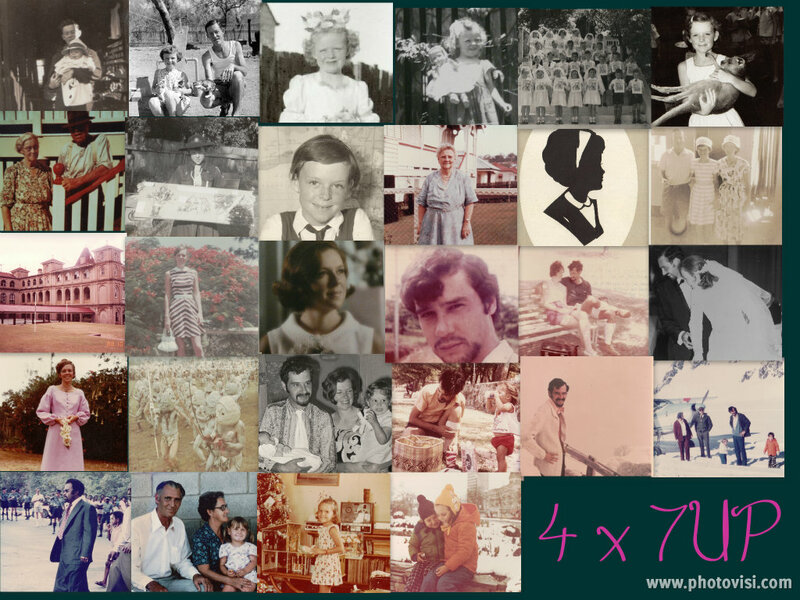 Although a couple of us are following this challenge on our family history blogs, there’s nothing to stop anyone else from joining in with a photo collage and any time of story for each photo. Don’t forget to go and sign up on the linky facility on Angler’s Rest. For those who want to join us, feel free to add the image below to your sidebar and use the twitter tag #fpcf13. Let’s have fun! This entry was posted in Family History, February Photo Collage Festival and tagged February Photo Collage Festival by cassmob. Bookmark the permalink. A lovely post Pauline. The program 7 Up was a great set of program’s – and recently they have produced the latest series. I recall watching the early ones whist completing my Sociology exam! My collage will be up either tomorrow or 31st, can’t remember when it’s schedued (hunch of 30th!) the photos are all about me, or those that reflect people who represented an influence in my life. Sounds like a good theme. I think I will follow along and do my first 28 years too. My collage will be up on the 31. Look forward to it Kristin…it should be fun. On second thought maybe I’ve already touched on most of those years in my house series and a few others. Anyway I will be joining in and also combining with the 250 words a day challenge.